and if it didn't kill, it could blind. to induce immunity against further infection. Some still died of this cure. and Edward Jenner might have known of Jesty. still occurred in the world each year. had to be stopped from spreading. 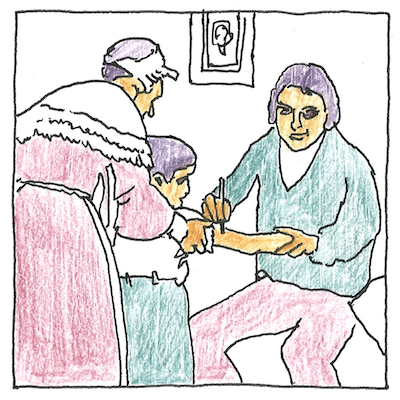 There was no treatment for smallpox. Up to 35% of people contracting smallpox died of it. During the twentieth century, smallpox killed between 300 and 500 million people, and most of these were children. Louis Pasteur artificially weakened rabies, anthrax, and chicken cholera organisms to develop vaccines.